A quiet disruptor of the new normal in luxury goods manufacturing, Métier weds time-honored techniques and impeccable materials with innovative design to craft heritage leather pieces for modern travelers—whether for a trip across the globe or a pop-in to the corner store. Launched in 2017 with a collection of handbags and luggage for men and women, Métier is the dream-child of Founder and Designer Melissa Morris. 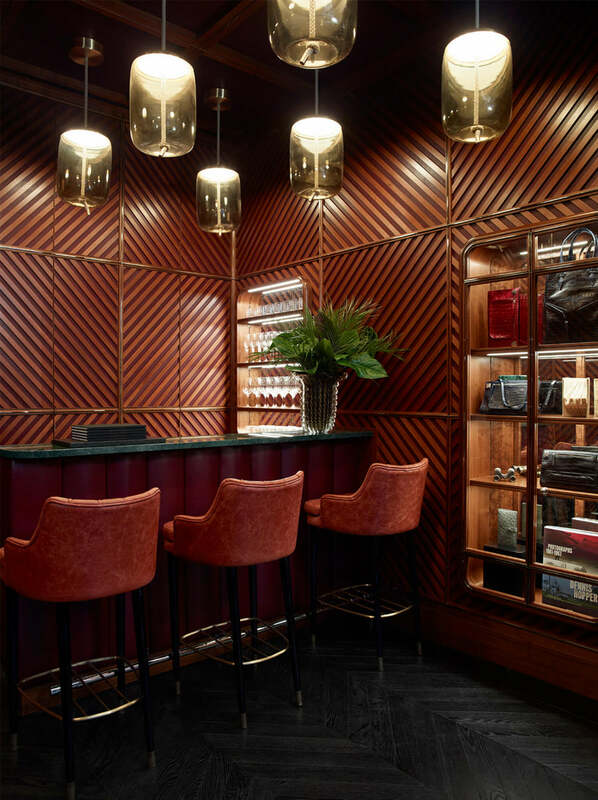 Leveraging decades of experience in both the fashion industry and the everyday world, Métier pairs a passion for classic luxury designs with an obsession for elegant solutions to modern problems. Stubbornly uncompromising in both beauty and use, each piece is a masterwork of juxtapositions—light but lasting; beautiful but purpose-driven; fresh-faced but armed with the wisdom of the ages. 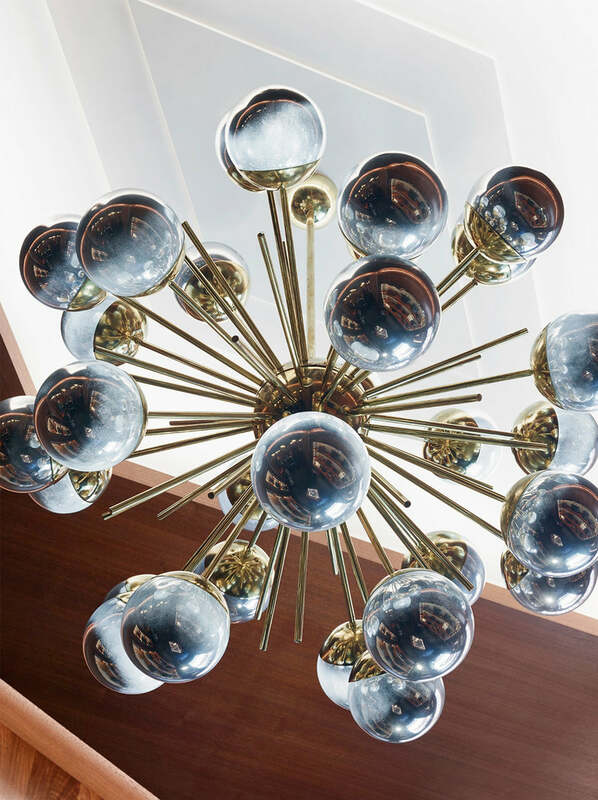 Inspired by vintage sports cars, the soothing geometry of Arabic architecture and the elegant restraint of mid-century design, Melissa engineers every element from scratch, to her exacting specifications. Guided by the twin idols of beauty and purpose, shapes are worked endlessly to achieve just the right combination of integrity and slouch. Cleverly compartmentalized and flawlessly executed, bags drape against the wearer’s body with maximum ease and balance, and conform seamlessly to individual needs. All-brass hardware is tough but smooth, and pretty enough to belong in a jeweler’s case. Clasps have been engineered to close with a click as satisfying as the door of a vintage sports car. Every bag is lined in the house’s signature Amarone Alcantara. Métier is hand-made by the highest-skilled craftsmen and women in a storied Italian Atelier. Every detail, from edge paint, to heat-sealed seams, to the precisely varying thickness of each layer of leather, is a point of personal pride for the man or woman whose hands have called it into being. It took 3 years to invent a process capable of producing Melissa’s designs: lightweight but lasting; structured but slouchy; as much a pleasure to carry as to use. A single maker inside our Atelier shepherds each piece from analysis of the sketch and 3D model to hand-fabrication of every stitch, pleat, and seam finish—a detail that sets Métier apart from most brands. Multiple layers of varying thicknesses are required to achieve the correct amount of play in each item—like sides that will graciously give when worn against the body, or gently collapse without sacrificing the integrity of the entire piece. Extreme precision is required as even 1mm in the wrong direction can ruin the design. Hundreds of stitches, a precisely-placed stud, a cleverly-concealed buckle and strap—so much remains invisible to the eye but does the work of ensuring that the fine, natural leather won’t pull or bunch when force is applied to the pressure points (like, say, the lifting of a handle). 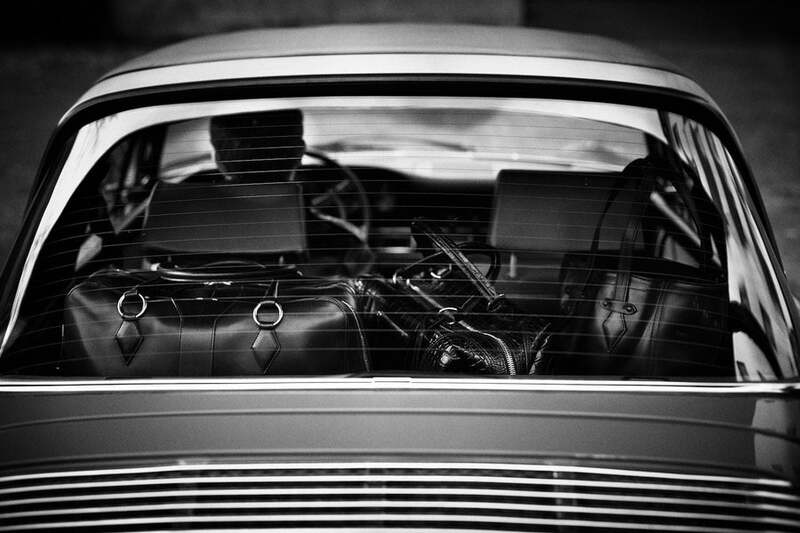 ﻿Métier sources its leather exclusively through the most acclaimed tanneries in Italy and France. Treated with time in mind, this leather only gets more beautiful with age, acquiring softness, patina, and the unique personality that only comes with adventure. Métier’s own hand-stippled pattern is comprised of 36,000 unique dots in six varying iterations of the same shape. The pattern strikes the eye as even and regular, but its subtle, calculated variations are perceived by the subconscious. The effect is a canvas that comes alive with movement and depth. For the printing, slubbed linen undergoes a custom-developed, five-step process of manipulations to further the visual intrigue and sense of history in the fabric. All-brass fittings are tough but smooth, and pretty enough to belong in a jeweler’s case. Clasps close with a satisfying snap that calls to mind the handle of a vintage car door. Chain links lay flat like a classic men’s ID bracelet. Each Métier piece will live to tell its stories, getting only more luxurious, compelling and treasure-worthy with age. From secret pockets (not where you’d expect) to hidden design elements, to the signature Alcantara lining (“something for the wearer to enjoy”), getting to know a Métier bag is an adventure in itself. Never settle in your search for The Best. The search should be exhaustive but not exhausting. It should feed your soul—creatively, energetically, and practically. And when you find it, you know—there’s a little thrill at every touch. A yearning for nearness. The cozy sense of good fortune. And always—the delight of discovery, even years down the line. 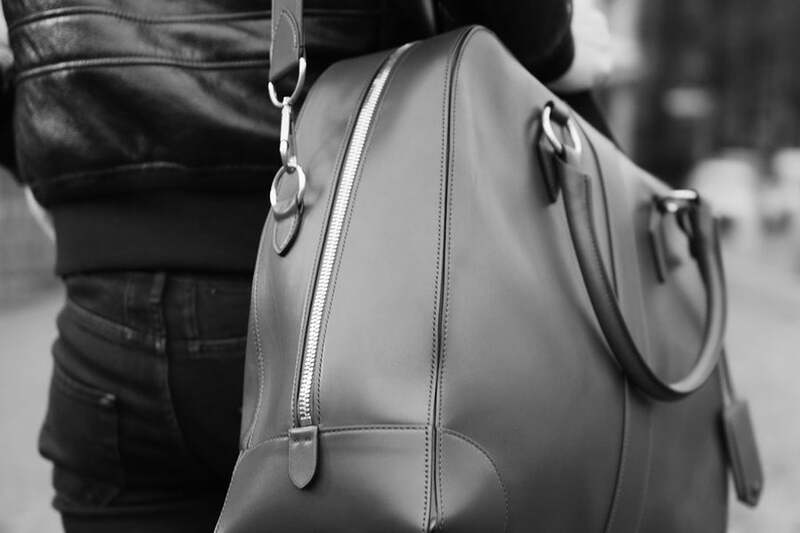 LONB’s flagship, in the heart of Mayfair, London, was designed to echo the experience of exploring an LONB bag itself. Inspired by antique sailing yachts, the store is lined in teaked walnut that quietly dazzles and invites fantasies of exotic escape. Yet this stunning interior belies a workhorse of a space where no storage opportunity has been wasted. Clever drawers and closets are tucked into unexpected places, marrying elegance and purpose in accordance with LONB’s signature formula.